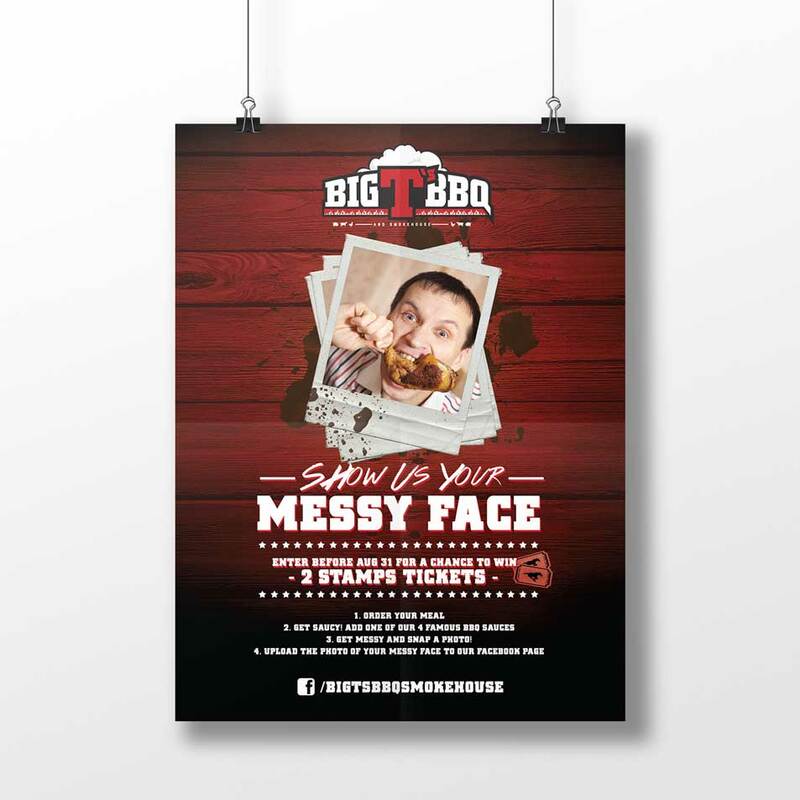 Big T's BBQ - New Wave Inc.
Big T’s BBQ is a Southern-style barbeque restaurant based in Calgary. Big T’s meats are slow smoked for several hours over Okanagan apple wood and the restaurant has been featured on “You Gotta Eat Here” for their Elvis Platters. 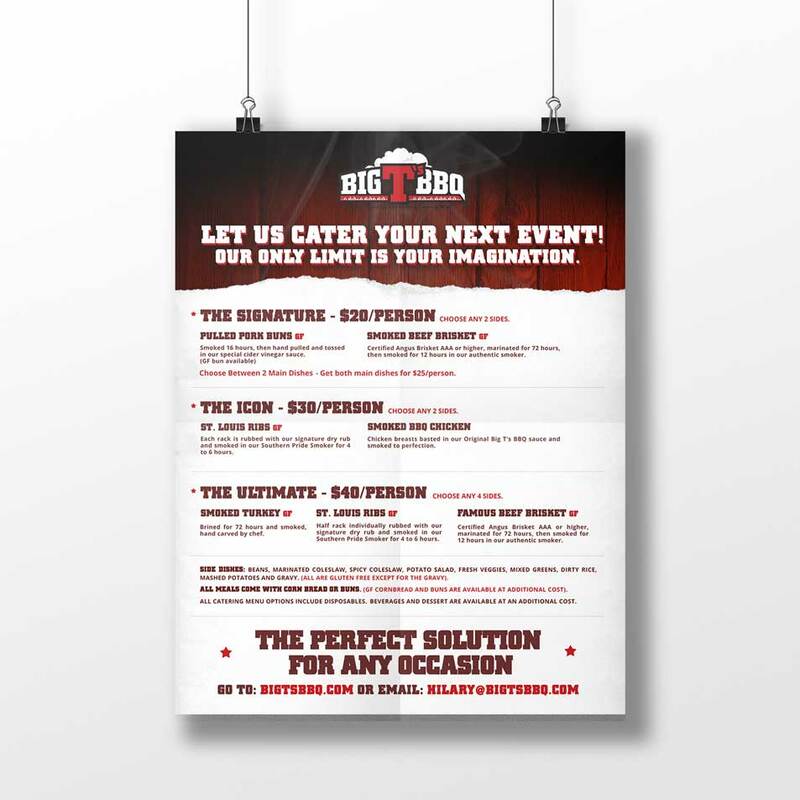 Big T’s BBQ has three locations in Calgary: McMahon Stadium, Deer Ridge, and The Calgary Farmers’ Market. 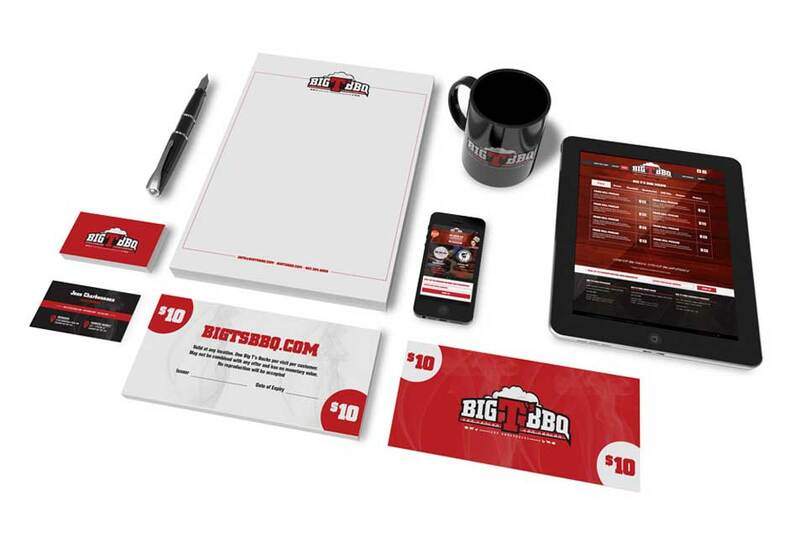 Big T’s wanted to start from the ground up with a full scale rebrand; modernizing the business while still honouring its Southern roots. There was also an opportunity to promote and advertise the new brand through a digital marketing strategy. 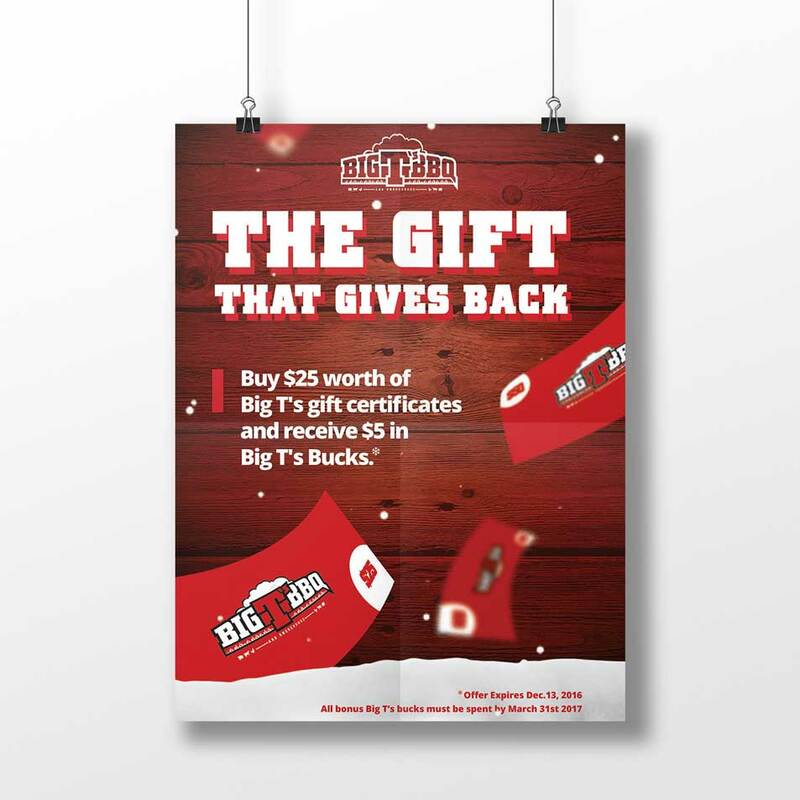 New Wave conducted a major brand overhaul for Big T’s. Keeping its New Orleans vibe with a smoky, gritty feel. A digital advertising strategy was also implemented, which included a variety of social contests. 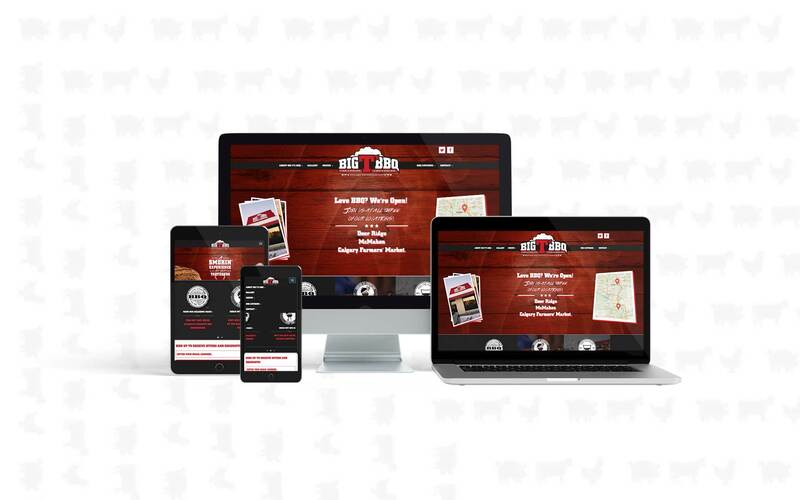 Moreover, it was essential to conduct reputation management online in order to position the brand competitively in Calgary’s BBQ restaurant industry. Once we wowed Big T’s with their awesome new brand, they signed on for our retainer strategy. We increased their social engagement substantially and enhanced their reputation both on and offline, making big waves with their digital performance. Big T’s started with only one location when they signed on with New Wave, and now operate three successful locations across Calgary.